Fig. 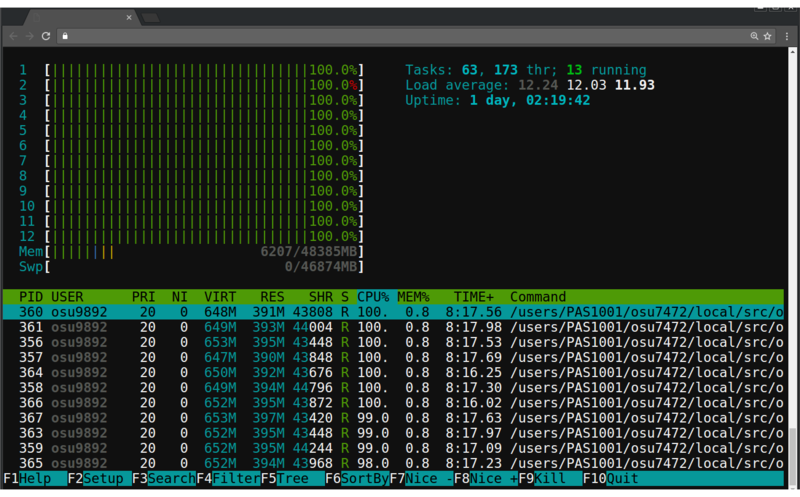 11 Example of the Shell App connected to a compute node with htop running. This Open OnDemand application provides a web-based terminal that connects the user through an SSH session to either the local machine or any other machine allowed within the internal network. Typically this will connect the user to a login node. This application uses Node.js for its exceptional support of websockets providing a responsive user-experience as well as its event-driven framework allowing for multiple sessions simultaneously. Starts SSH session on host machine with current working directory path. Starts SSH session on the default host (specified by system administrator when app was first installed) in the user’s home directory. Starts SSH session on host node01.hpc.edu and changes working directory to /home/user/path/to/work. Fig. 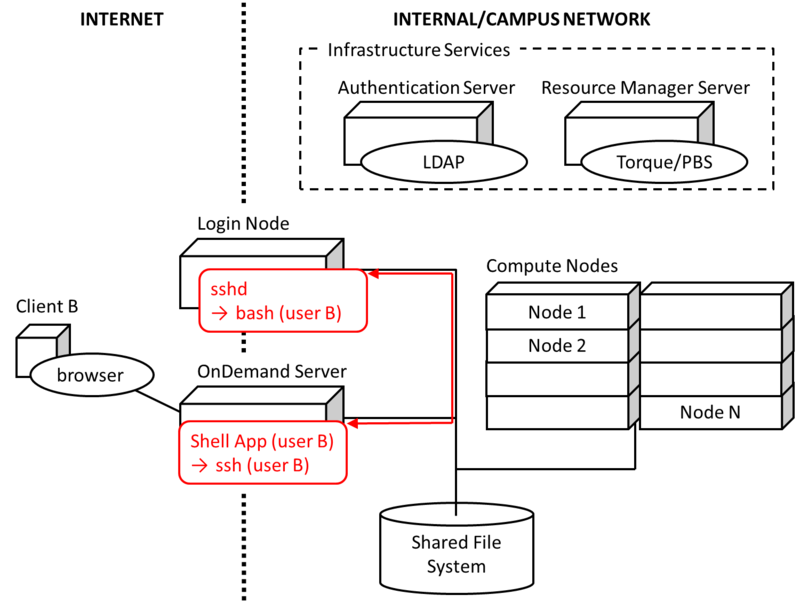 12 Diagram detailing how the Shell App interacts with HPC infrastructure. Fig. 12 details how the Shell App works on a local HPC system. The user’s PUN running on the OnDemand Server launches the Node.js Shell App through Passenger as the user. The Shell App then forks off an ssh process that then connects to a server specified by the administrator (typically a login node). The stdin, stdout, and stderr streams are all piped through the websocket connection. When the user drops the websocket connection (e.g., leaves the page, refreshes browser, drops connection) the ssh process is terminated.